I happened to stumble across Any Amount Of Books during my lunch-break one rainy day back in 2013. At the time I was working in a different bookshop close by (you know you’re a true bookseller/lost cause when you choose to hang out in bookshops in your spare time, amirite?!) but it was pretty corporate and lacked the comforting ‘come in out of the storm that is life and rest your weary soul’ vibe I tend to look for in bookshops. I liked working there (mostly due to my colleagues who were a great bunch of aspiring writers and wanna-be publishers) but I felt no connection to our customers, most of whom came in purely to buy the book they had already decided to buy and that was that. My job was to straighten the books on display and make the whole buying process as quick and painless as possible for our busy modern-day clientèle. It was kind of like Amazon if Amazon was a physical shop. So maybe that’s what drew me to Any Amount Of Books, a longing for a (dare I say it) more old-fashioned book-buying experience. 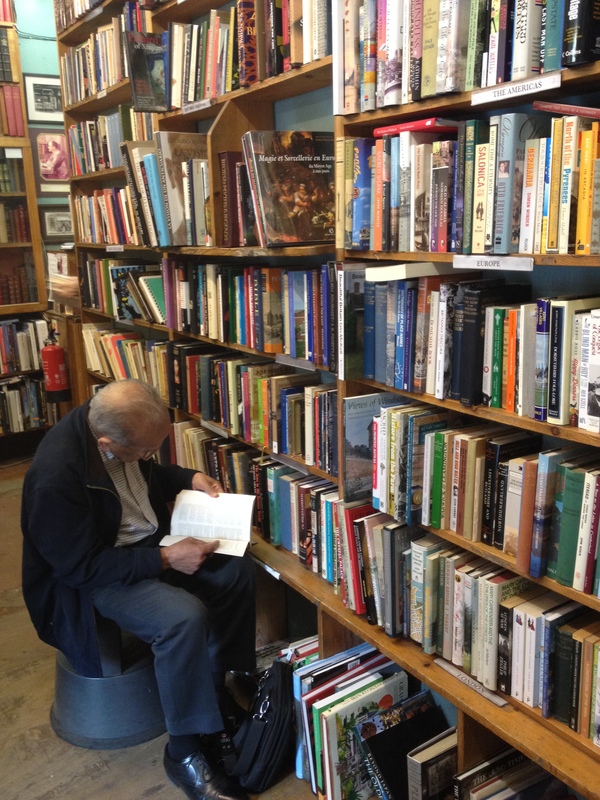 As soon as you walk in the door of Any Amount of Books you think “Right, this is a place I am going to spend a lot of time”. 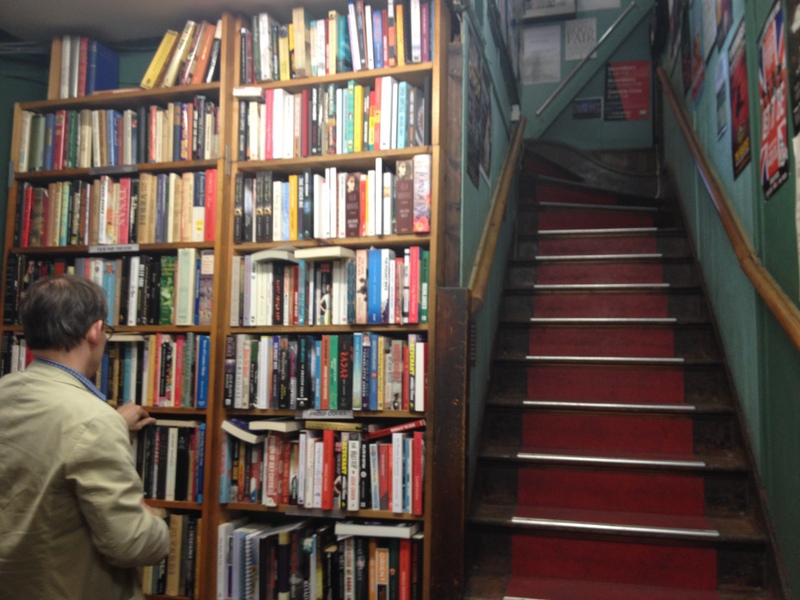 There are books EVERYWHERE, shelves and shelves of them all higgledy-piggledy and amazing. Basically it was the exact opposite of the sterilized, super-neat, ‘buy this book because it looks pretty’ bookshop I had just come from. Now don’t get me wrong, I love a pretty book. But I love a pre-loved book more. It’s about the thrill of the unexpected, the possibility that something incredible could be just a rummage away and one of my favourite things is to find a book with a message inside that’s been given to someone as a gift. It warms my heart and confirms my belief that it’s books, not money, that make the world go around. Any Amount Of Books is all about that second-hand book love. 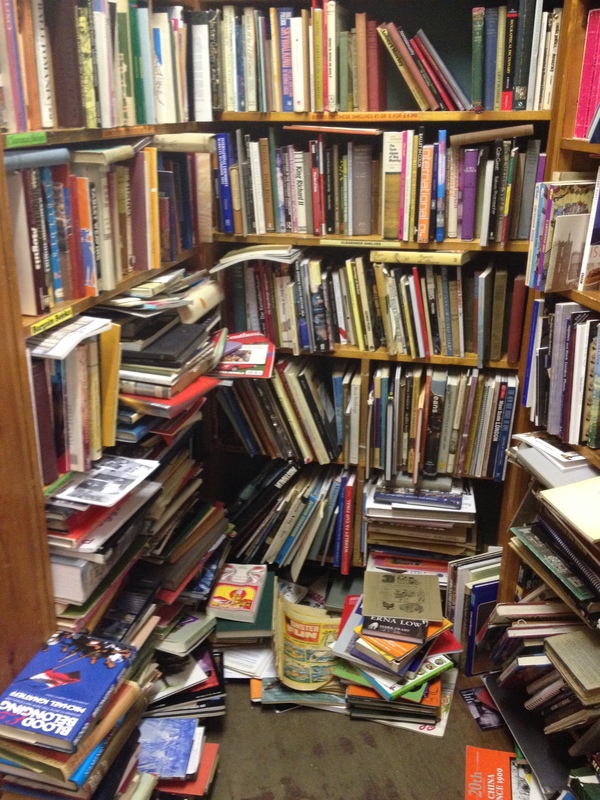 In theory books are sorted by section, some of which are represented on the shop floor but with a much wider variety stored down in the cellar where piles are stacked up on the floor and over-flow from cardboard boxes. It’s glorious and a major plus to the lack of organisation is that it is practically impossible to look for specific titles, meaning you end up scanning shelves at random. The prices are honest (a paperback costs around £3) and if second-hand book aren’t your thing, they have a ‘Just Released’ section that stocks the latest hardbacks. They also specialise in rare and out-of-print books which is pretty cool. Situated on Charing Cross Road, right in between Leicester Square and Covent Garden, it’s super easy to get to and is open late until 9:30pm for all you night-readers out there! P.S. They also have a really good travel literature section. I always end up coming away with a new travel memoir when I pay them a visit.